Perodua has announced two new variants for its Myvi line-up - the Myvi SE and the Myvi Sport - and confirmed that both manual and automatic versions are now Euro 5 compliant. The two new variants have the same specification as the existing Myvi with air conditioning, four electric windows, electric door mirrors, central locking, power steering, an integrated radio/CD player and much more all as standard, but also include new features. 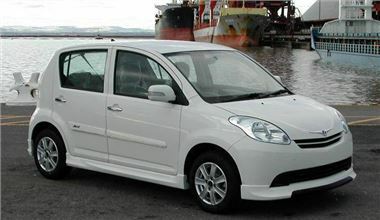 The Myvi Sport gets a body kit (white car, pictured) consisting of front, side and rear skirts including imitation quad exhausts. Colour matched side mouldings with chrome ‘Myvi' motifs and chrome door handles and alloy wheels complete the look. Inside, carbon fibre finishes are fitted to the instrument panel and door panel switch surround. Prices for the Myvi Sport start at £7,799 in manual transmission in a choice of either Ebony Black or Ivory White. 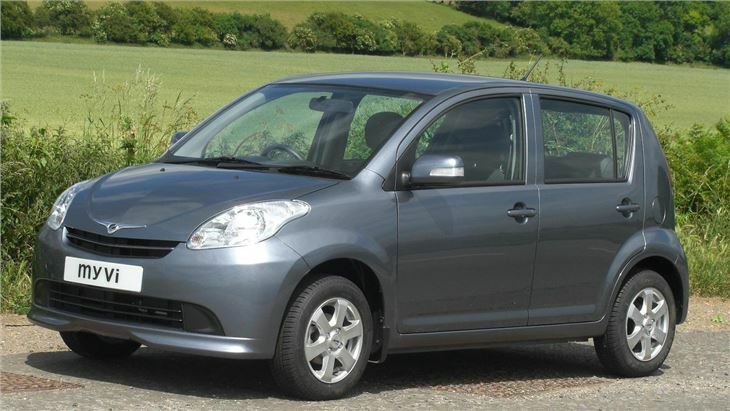 The Myvi SE adds dark grey leather, with matching interior trim. The Myvi SE also features alloy wheels and is priced from £8,399. The SE model is available in either manual or automatic transmission in a choice of Ebony Black, Medallion Grey, Glittering Silver or Ivory White.